Today is the first day of Spring!!!!! I can see grass out my study window. The sun feels warmer, and even though I love snow, I am praying for no more snow until November! Looks like a beautiful weekend coming up, which just gets me excited to get together and worship God with you all! As I was preparing for my sermon, “A Calm Heart” on Psalm 131, my interest in a short but important statement from Jesus was piqued. At a dinner at Simon’s house, an unnamed woman came into the dinner and broke open a very costly jar of ointment and poured it on Jesus’ head. Some at the dinner were offended by the extravagant gift the woman gave to Jesus. They insisted that this ointment would have been better used to sell and then give to people in need. But this woman was doing something of great honor. She was anointing Jesus for burial, before he died. Jesus defended her saying, “She has done what she could...” That little phrase can help give our hearts calm, when we are stressed. How so? That little statement tells us that Jesus doesn’t expect us to do everything. He doesn’t expect us to do things beyond our ability to do them. He expects us to do what we can do. Often times, we can experience stress because of one or more of the following three factors. We are trying to do more than we can do. We are expecting others to do more than they can do. We are trying to do more than we can do, because of the expectations of others. Jesus reminds us in the short statement, “She has done what she could...,” that we are responsible to do what we can do. 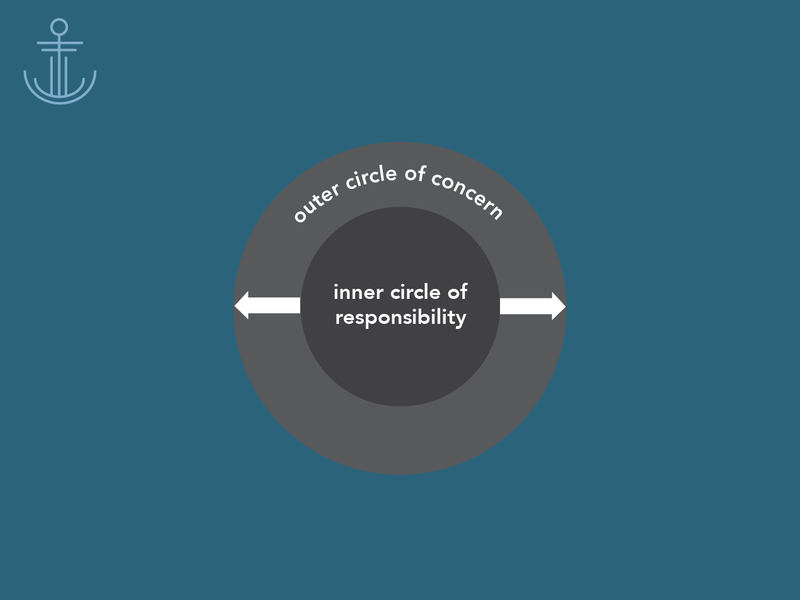 This is where Paul Tripp’s circle of responsibility is so helpful. He reminds us that we are responsible to be faithful in certain aspects of life, while also trusting God with the concerns that we have. If we expand the circle of responsibility to cover areas of life in which we should only have concern, we will experience stress and worry. If we shrink the circle of concern and place our responsibilities into simple concerns, we will experience stress in life. One way to calm our hearts amid stress is to come back to the circle of responsibility. Are we seeking by God’s grace to be faithful in our responsibilities? Have we made any of our responsibilities to be concerns? Have we made any concerns to be responsibilities? Remember, Jesus honors the woman because she did what she could do. Don’t expect more of yourself than what Jesus would expect. We’ll be in week four of the Anchored series this Sunday. 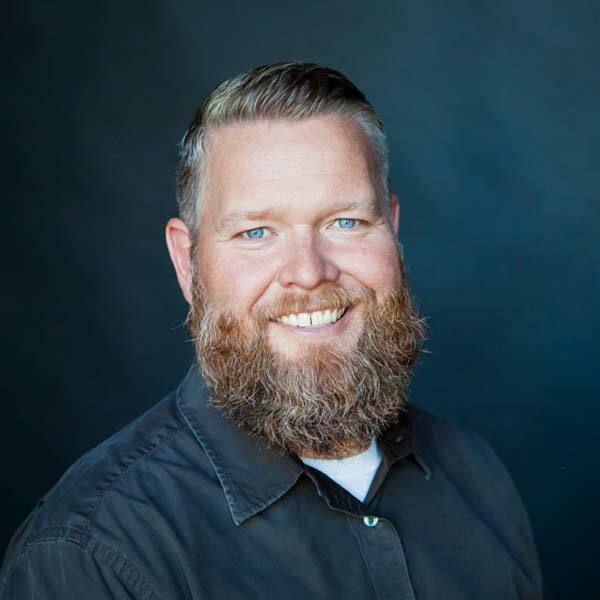 Pastor Larry is going to be talking about how having our identity anchored in Jesus empowers us to be faithful friends in the midst of our high-pressured culture. Many, many people around us are lonely. Friendship is so, so important! There are two resources I recommend for learning about building your identity in Christ. One is “Who Am I?” by Jerry Bridges and the other is “Found in Him” by Elyse Fitzpatrick. They are both available on Sundays in the resource area by the café in the lobby. I highly recommend picking one of them up and working through it. Parents, do you feel stuck, confused, frustrated, or simply at a loss for how to handle the rapidly transforming technological world your child is living in? Dan Buckle (middle school counselor), Jake Pierson (MS Student Director), and Ben McMullen (HS Student Director) will be leading a training,“Teens and Tech,” to help parents better navigate the technological world we are drifting in. This training is geared towards parents of 6th- 12th graders, but is open to parents of younger children. Teens and adults are welcome – anyone who is facing the complicated issues related to the broadening world of technology. Please sign up each attendee in advance—this is not required, but helpful as we prepare for the seminar. This also allows us to send follow-up material and resources after the seminar. REGISTER at fcchudson.com or on the app. We’re sharing a letter that we received from Tim Sackett, who has served 27 years at the Transport for Christ Chapel at the truck stop at exit four. You can read the letter at this link. We are so grateful for Tim and Charlene for their years of service. They are currently assessing what is next for them. Please support them in prayer. ‍LEARN ABOUT FCC events and registrations at fcchudson.com or the app. Search for “Faith Community Church Hudson” on the App Store orGoogle play to download the app. PRAYER REQUESTS + CARE NEEDS are now posted on the Prayer + Care wall on the app. You can also signup on the app under “Emails + Registrations,” if you would like to receive anemail when new prayer requests and care needs are posted.